Preseason All-American team of Michigan high school alumni. Without lottery picks Miles Bridges and Jaren Jackson, MSU will rely even more heavily on point guard Cassius Winston. 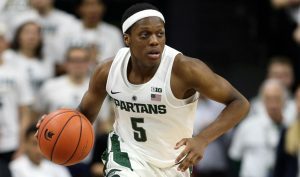 MVP Cassius Winston 6-1 Jr Michigan State (Detroit U-D Jesuit): He’s on the watch list for the Naismith national player of the year after leading the Big Ten in assists and three-point percentage as a sophomore. 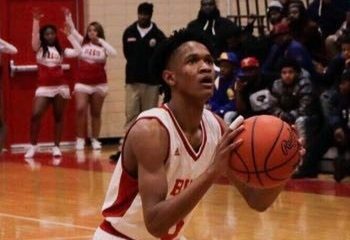 Michigan’s 2016 Mr. Basketball averaged 12.6 points, 3.4 rebounds and 3.9 assists last season while shooting .507 overall, .497 from three-point range and .900 on free throws. Winston had 13 points and 11 assists in MSU’s season-opening loss to No. 1 Kansas. 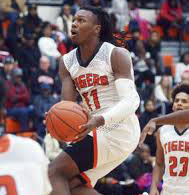 Jamal Cain 6-7 So Marquette (Detroit Cornerstone): Bank Hoops’ top-ranked 2017 recruit, Cain emerged as a corner three-point sniper as a Big East freshman, most notably making 4-of-6 from behind the arc and scoring 16 against Xavier. For the season he averaged 4.6 points and 3.4 rebounds while shooting .484 from the field, .473 from three-point range … and .478 from the stripe. Seth Dugan 7-0 Sr Western Michigan (Otsego): He only played 23 games last season because of a stress fracture in his foot, and when he was playing he wasn’t able to practice. 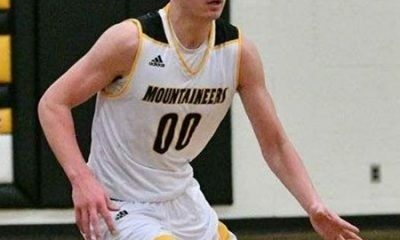 Now fully healthy, Dugan is finally looking like the prized recruit WMU beat out high-major schools for back in 2015. In the Broncos’ first game, a win over Detroit, the Big Farmer scored 32 points on 12-of-18 shooting and grabbed 22 rebounds. Rob Edwards 6-4 Jr Arizona State (Detroit Cass Tech): He was a two-year starter at Cleveland State, where Edwards averaged 14.4 points, 4.2 rebounds, 1.6 assists and 1.2 steals per game while shooting .404 percent from the floor including .371 from three-point range. He’s playing with better teammates now, sharing the backcourt with highly-regarded freshman Luguentz Dort and Remy Martin, who was the Pac-12 sixth man of the year in 2018 as a freshman himself. Edwards had 14 points and six rebounds in the Sun Devils’ season-opening win against Cal State-Fullerton. 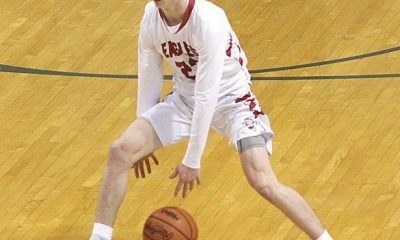 Zach Hankins 6-11 Sr Xavier (Charlevoix): From the GLIAC to the Big East, he’s a grad transfer from Division 2 national champion Ferris State, where Hankins was a two-time All-American and the 2018 national player of the year. As a red-shirt junior he averaged 15.1 points, 9.8 rebounds and 3.3 blocks per game while shooting .630 from the field. In his Xavier debut, a win over IUPUI, he had six points, seven rebounds and five blocked shots. 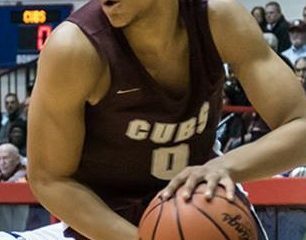 Isaiah Livers 6-8 So Michigan (Kalamazoo Central): Following three-straight double-digit scoring efforts off the bench, the state’s 2017 Mr. Basketball was in U-M’s starting lineup by January and stayed there all the way through the national championship game with Villanova. The former pitcher’s crowning moment came in the second round of the NCAA Tournament against Houston when his 3/4-court pass from the baseline found fellow freshman Jordan Poole for the game-winner. Livers played 10 more minutes in this season’s debut than he averaged as a freshman, and had eight points and eight rebounds in the Wolverines’ defeat of Norfolk State. Karmari Newman 6-4 So Oakland (Detroit East English Village): Oakland continues to be a destination for transfers returning closer to home and there’s ample opportunity for Newman, who played two years ago as a freshman for George Mason, as the Grizzlies must replace their top five scorers from 2018. Though he’s come of the bench in both, Newman scored 12.5 points per game in Oakland’s two exhibition wins — nearly exactly what he averaged at George Mason. 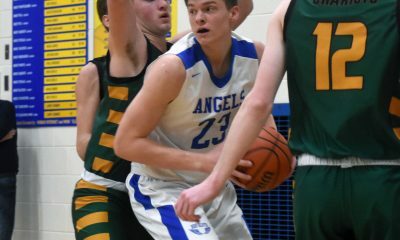 Nick Perkins 6-8 Sr Buffalo (Milan): The burly former Milan Class B state champion was the MAC’s sixth man of the year for the second time as a junior on Buffalo’s NCAA Tournament team. Perkins was All-MAC after averaging 16.2 points and 6.0 rebounds per game while shooting .474 from the field and .733 at the line. In his senior debut Perkins had 16 points and nine rebounds in a win over St. Francis. 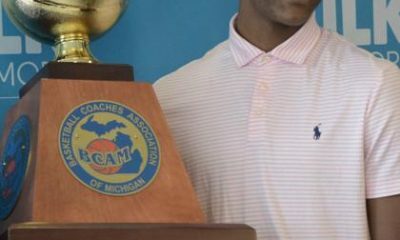 Jaylin Walker 6-4 Sr Kent State (Romulus): He was the MAC tournament MVP in 2017 and then surpassed 1,000 career points as a junior. Last season Walker averaged 16.6 points, 3.9 rebounds, 2.0 assists and 1.0 steals per game while shooting .380 overall, .328 from three-point range and .788 from the line. 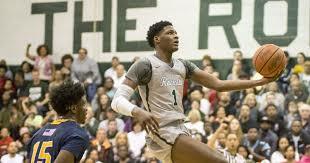 Eric Williams 6-5 So Duquesne (New Haven): Duquesne was Williams’ only D1 offer and the 2017 Class B state champion made the most of it, starting all but one game as a freshman. He averaged 14.3 points and 8.8 rebounds while shooting .392 overall, .364 from behind the arc and .740 from the line. The former Bank Hoops all-state camper saw just seven freshmen in America averaged more rebounds, and over half of those were lottery picks — DeAndre Ayton, Marvin Bagley, Mo Bamba and Wendell Carter.